Lifestyle factors such as smoking or a high-fat diet are well-established contributors to heart attack risk, because they encourage the accumulation of sticky plaques inside the arteries that supply the heart with oxygen- and nutrient-rich blood. Though genetics plays an almost equal role in the accumulation of plaques in the coronary arteries, the specific genes involved in the process are largely unknown. 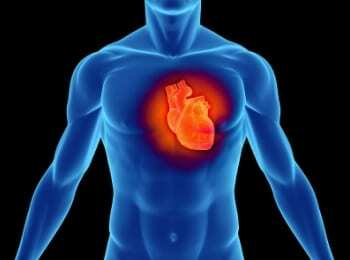 Only one region of DNA on chromosome 9 has consistently been linked to heart disease. Now five studies, published online yesterday in the journal Nature Genetics, have identified a bumper crop of genetic variations associated with coronary artery disease (the build up of plaque) and heart attack. Although more work will be needed to confirm these associations and figure out exactly how they affect risk, these results are a major step forward in understanding the biology of heart disease. Eventually the variations identified in these and future studies may be useful for prediction, prevention or treatment of coronary artery disease and heart attack. Four of the studies looked at the effects of individual SNPs on coronary artery disease or heart attack. 23andMe customers can check their data for many of these using the information at the end of this post. The fifth study looked at the effect of a combination of four SNPs. 23andMe cannot currently provide customers with the type of data described in this study. Note: In each table, “Effect” refers to the increase in odds for each copy of the risk version compared to two copies of the non-risk version of the SNP. rs17465637 C 1.14 Data available only to those customers who received their data after 9/1/08. rs3184504 T 1.13 Data available only to those customers who received their data after 9/1/08. rs2306374 C 1.15 This SNP is a proxy for rs9818870, the SNP found in the study.